For this weeks challenge I decided to throw it back to New years Eve . During this time we reflect on change and what we hope for in the year to come . Think about it so much can happen in a year . Love is lost and found , jobs change , new friendships . That night was one of the best of my life . I spent it with a friend very dear yo my heart . We laughed, we drank and celebrated life . The fireworks and their changing form the ebb the flow ;The loud bangs the short burst of noise and color changes all can reflect the various events of life . This saying is so cliche but the only constant of life is change . Every day our bodies undergo transformation ad over time so does our soul . My take away from this week’s theme is that no matter what we go through we adapt , we grow and most importantly we should celebrate life . Perspective is everything . The beach is literally in my back yard . a mixture of locals and tourists alike . The beauty is captivating . It’s like a tropical paradise .Grab a beer , a beach chair and just enjoy the vibes . #islandlife . It’s kind of hard not to get lost in the crazy of life sometimes. I think we all have had days where we feel a little down and just need a little jolt of inspiration. When I am having a bad day or moment I look to my inbox for a pick me up (also to my coffee cup). Here are my favourite inspirational newsletters. Grace notes – http:gracespace.co these are short and precise. Hay house -The forever wisdom of Wayne Dyer. I can not express how much his words of wisdom have helped me with my self-discovery journey (still a work in progress ) we can all do with little words of wisdom. 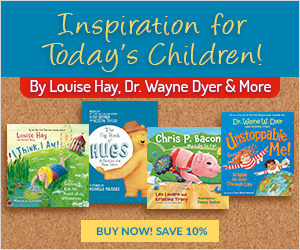 Hay House also offers several other newsletters and resources. Something to fit any and everyone’s needs. Bernadette Logue – pinchmeliving.com this I recently subscribed to after having downloaded her free affirmations. Listening to them on my daily commute to and from home. She discusses a wide range of topics and also offers practical tips. Plum Deluxe –plumdeluxe.com This newsletter combines inspirational messages and food. Tea, a cake you name it. You may find a new favourite to add to your recipe collection. Who doesn’t love cake ?? What are some of your favourite inspirational newsletters or websites? Share in the comments below.